On 3, 4, 5 and 7 May 2019 Guy Cassiers presents his third international re-creation of Het kleine meisje van meneer Linh. This English version is a coproduction with Les Théâtres de la Ville de Luxembourg. JR, FC Bergman's spectacular piece plays from 12 to 16 April in La Villette, Paris! Bagaar is based on the film Coup de torchon (1981) by Bertrand Tavernier, which tells the story of a disrupted community of white colonialists in an African country right before the Second World War breaks out. Lisaboa Houbrechts is putting the Lauwers-Barkey family, a real family, on stage to in order portray the canonical Hamlet family. In doing so, she is attempting to penetrate the essence of this primal tragedy. 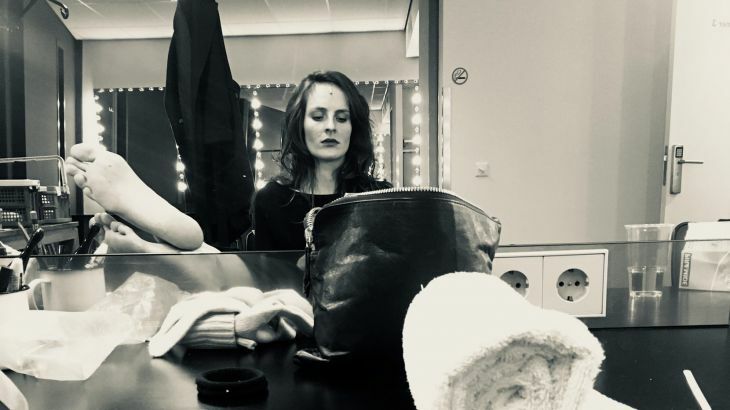 After Yvonne, Prinses van Bourgondië Tibaldus is tackling a second play by Witold Gombrowicz: Het Huwelijk (The Marriage, 1947). Thus making the two flow into, collide and resonate with one another. An eclectic performance about Europe’s most fascinating capital.